Chairman, UBA Plc, Mr. Tony Elumelu was recently among some of the world’s most successive entrepreneurs invited by Thought Economics, a journal of intellectual capital, which is read in over 120 countries to share his thoughts on entrepreneurship. Other successful entrepreneurs that were interviewed for the exclusive publication include; Sir Richard Branson (Founder of Virgin Group), Robin Li (Founder of Baidu), Sir James Dyson (Founder of Dyson), Professor Muhammad Yunus (Nobel Peace Prize Winner and Founder of Grameen Bank), Kiran Mazumdar-Shaw (Founder of Biocon), N. R. Narayana Murthy (Founder of Infosys), Tim Draper (Founding Partner, Draper Associates and DFJ), Jamal Edwards MBE (Founder, SBTV), Nathan Myhrvold (Founder & CEO, Intellectual Ventures), Wendy Kopp (CEO & Co-Founder, Teach For All), Tory Burch (Chairman & CEO, Tory Burch), Steve Case (Co-Founder, America Online – AOL & Revolution), and Jerry Yang (Co-Founder, Yahoo!). Mr. Elumelu, in the interview, shared his ideas on what drives him as an entrepreneur, his passion and inspiration and hopes for the future and also gives some advice to future entrepreneurs. Tony O. Elumelu is a visionary entrepreneur and a philanthropist. Born, raised and educated in Africa, Mr. Elumelu has been responsible for creating businesses across the continent, in sectors critical to Africa’s economic development. In 2010, he founded Heirs Holdings, an African investment holding company, with investments in financial services, power generation, oil and gas, agribusiness, real estate and hospitality. In the same year, he established the Tony Elumelu Foundation, an Africa-based and African-funded philanthropy, dedicated to catalyzing entrepreneurship across Africa. He is Chairman of Heirs Holdings as well as UBA Group Plc and Transcorp Plc, which is Nigeria’s largest listed conglomerate. In his early career, Mr. Elumelu turned the financially distressed Standard Trust Bank (STB) into a top-five financial services player in Nigeria. In 2005, he led the largest merger in the banking sector in sub-Saharan Africa, between STB and United Bank for Africa (UBA). 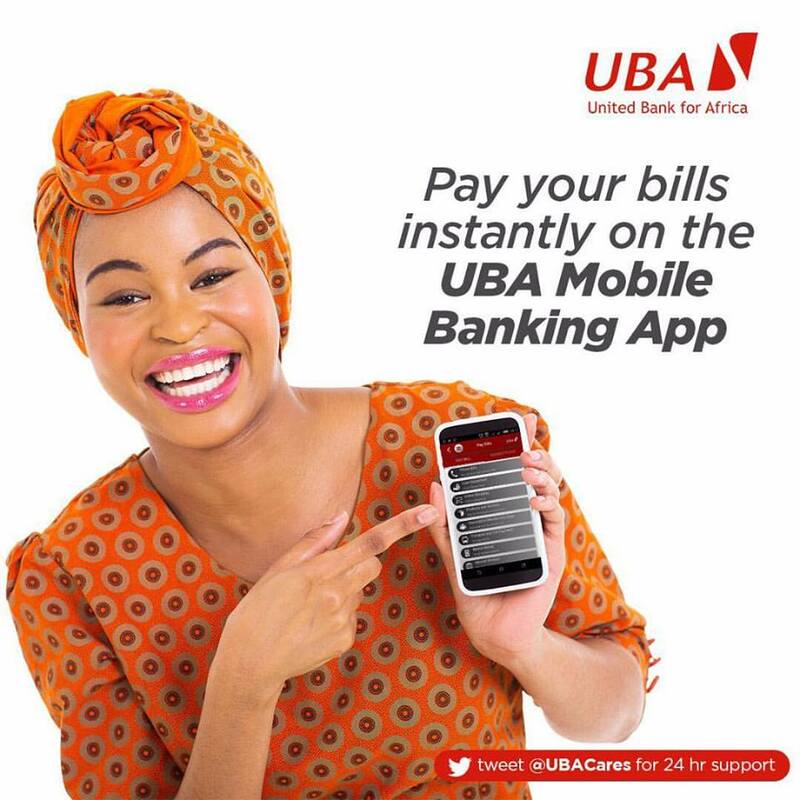 Today, UBA operates in 19 African countries, as well as New York, London and Paris. Mr. Elumelu is the author and leading proponent of “Africapitalism,” an economic philosophy which advocates for the private sector’s commitment to Africa’s development through long-term investment in strategic sectors of the economy, that drive economic prosperity and social wealth. In 2003, the federal government of Nigeria conferred the honour of Member of the Federal Republic on Mr. Elumelu. In 2012 he was awarded named a Commander of the Order of the Niger for his service in promoting private enterprise. In 2013, Mr. Elumelu received the Leadership Award in Business and Philanthropy from the Africa-America Institute Awards. He was also named African Business Icon at the 2013 African Business Awards. 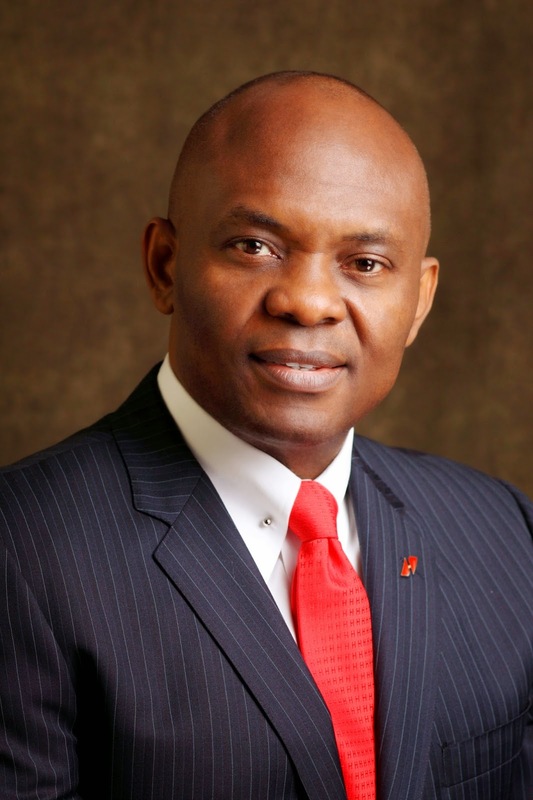 Mr. Elumelu presently serves as a member of the Global Advisory Board of the United Nations Sustainable Energy for All Initiative (SE4ALL) and USAID’s Private Capital Group for Africa Partners Forum. He sits on the Nigerian President’s Agricultural Transformation Implementation Council and serves as Co-Chair of the Aspen Institute Dialogue Series on Global Food Security. He played a leading role in the formation of the National Competitiveness Council of Nigeria and now serves as its vice chairman. He chairs the Ministerial Committee to establish world-class hospitals and diagnostic centres across Nigeria, at the invitation of the Federal Government. Q1: What does ‘entrepreneurship’ mean to you? For me, personally, being an entrepreneur is an innate talent, as well as a learned one. My mother owned restaurants and was a major distributor in the consumer value chain. So, growing up, I was able to see firsthand the far-reaching value that entrepreneurship creates. Now that I am a seasoned professional, entrepreneurship has come to mean many things to me: as a businessperson, entrepreneurship has enabled me to create wealth, for myself, my investors, my colleagues and stakeholders. Entrepreneurship has also created an avenue for me to impact humanity positively, by creating and supporting more entrepreneurs, through the Tony Elumelu Foundation. Entrepreneurship has empowered me to raise the standard of living for entire communities, particularly on my continent – Africa. Q2-What is the role of entrepreneurs in an economy and society? I believe that entrepreneurs, like other private sector operators, have an obligation to channel their acumen toward enhancing their social environment, as much as their financial statements. I run an Africapitalist organization, which means that my businesses create value for shareholders and society alike. For example, our Transcorp Power Company is one of our nation’s top power generators—in 2013, we inherited a plant that generated less than 150 megawatts of electricity and now we contribute 750 megawatts to Nigeria’s grid, more than 15% of the country’s output. With increased power output, businesses, schools, hospitals and even private households are better able to save on running costs, freeing up capital for critical expenditures. We also run an agribusiness, Teragro, which is Nigeria’s first local producer of juice concentrate. Until Teragro began processing these concentrates, working directly with local farmers and giving them increased access to the wealth they help to create, Nigeria imported 100% of the concentrate used to manufacture juices that are consumed locally. Thus, our activities contribute to the companies’ bottom line, while creating jobs, improving quality of life and retaining more local value within the country. It is inarguable that entrepreneurs play a key role in addressing social and global issues, particularly poverty. Personally, I am pleased to see that global leaders now agree that entrepreneurship, not charity, is better able to create progressive, sustainable development that benefits the poor. This is why the United Nations has included the promotion of development-oriented policies that support entrepreneurship in the 2030 Agenda for Sustainable Development. In many developing countries where competing priorities and limited resources can overwhelm government systems, the private sector is uniquely positioned to mobilize the capital assets that can realize lasting, positive social transformation. The relationship between corporation and community is symbiotic: by contributing to raising the standards of living around them, these entrepreneurs are also positioning their businesses to profit from increased disposable incomes, a healthier, better-educated pool of potential employees, and numerous other benefits. Q3: What are the key drivers for an entrepreneur? Ask any entrepreneur and most, if not all, will tell you that they are driven by passion. This passion could be for a single, innovative idea, or it could be a passion to do something that changes the world. But without passion, it would be impossible to stay the course of this most challenging of vocations, and rewards at the end of the journey make all the struggle worthwhile. Q4: What are the characteristics of a great entrepreneur? Great men, regardless of their chosen profession, have shared characteristics: discipline, zeal, competitiveness. They are driven to succeed, and often this requires a brazenness or boldness that most will identify as risk-taking behaviour, but is often calculated. Great entrepreneurs do things differently. They exhibit traits that set them apart from the general population and, though not all were born leaders, I believe their achievements make them leaders among their peers. Q5: What are the sources of entrepreneurial ideas? I run my businesses according to the principles of Africapitalism, which calls for businesses to commit to development through investing in long-term ventures that increase economic prosperity as well as social wealth. This means that a successful business is one that creates value for its stakeholders but also makes a long-term, sustainable contribution to the communities that it supports and that support it. Q6: What are the characteristics of successful invention and innovation? Being wealthy as an entrepreneur is both a blessing and a responsibility. Not everyone who puts in years and years of hard work, or burns the candle at both ends while others were asleep, will find wealth or success—and not everyone who does that seeks wealth. This is why I view the ability to create wealth as a blessing, but it also means that the wealthy one has a responsibility to share: share experience, share knowledge, and indeed, share the wealth, but in a sustainable and coordinated manner such that one can create meaningful transformation that lasts for generations. Q7: What is social entrepreneurship? I have been able to use my skills and training as an entrepreneur to the benefit of others around me in the practice of philanthropy. The Tony Elumelu Foundation practices catalytic philanthropy, which means that our charitable actions are designed, much like my businesses, to invest for long-term impact. Practicing catalytic philanthropy, which we pioneered in Africa, has led to the creation of our flagship programme, the Tony Elumelu Entrepreneurship Programme, through which we committed $100 million in grants to 10,000 entrepreneurs around Africa for the next ten years. These grants will build businesses, create jobs, increase employment around the continent and generate over $10 billion in revenues over the next decade. We have already completed the first cycle, selecting 1000 people from 51 countries around Africa with enterprises in agriculture, education, ICT, healthcare, construction and several other key sectors. This is real impact, and it is the driving force behind my philanthropic pursuits. Q8: How does entrepreneurship manifest in the arts? On the surface, I suppose there are certain tools and technology at the disposal of industrialized countries that are lacking in developing nations like Africa. However, the core of being an entrepreneur is the same regardless of culture: entrepreneurs represent a class of people who overcome a series of psychological, financial and sometimes even physical barriers to implement an idea and turn a profit, while solving an economic or social problem. I don’t find that attitude to be culture-specific. Rather than view this from a cultural perspective, I prefer to consider the individual and his environmental circumstances. The individual who has big dreams and is tenacious, resilient, and unrelenting, with the ability to translate ideas into action often succeeds, irrespective of where he comes from. Similarly, an individual in an environment where the entrepreneurial ecosystem is well developed, i.e. where there is power, good roads, security, etc., is also more likely to succeed than one who is expected to support himself in nearly every respect. Q9: What is the role of government and policy in entrepreneurship? It should be every government’s role to create the enabling environment for entrepreneurs to thrive. Entrepreneurs, through their innovation and hard work, create the opportunities for employment and economic growth that serves nations in numerous quantifiable and qualitative ways. When government policies support the growth of the private sector, they start a ripple effect that will ultimately resolve basic societal challenges, from unemployment to a lack of social amenities, which can be provided from the tax revenues gained from robust companies. Q10: What would be your message to future entrepreneurs? I think it is paramount for future entrepreneurs to build sustainable companies that will create value for their stakeholders over the long-term. It is also important, however, for these companies to have a social impact. My investment firm, Heirs Holdings, makes long-term investments in key sectors—financial services, energy, real estate and hospitality, healthcare—through which each of our companies add to Africa’s economic prosperity and social wealth. This isn’t the easiest path to success, to be sure, but it is responsible and it is my firm belief that this is the foundation upon which great legacies are built.